We are excited to announce the availability of the video recordings of speakers and events from the 2017 Spiritual and Psychic Sasquatch Conference (now known as the Psychic Sasquatch Spiritual Retreat and Conference) at the Chewelah Peak Learning Center in Chewelah, Washington! We appreciate Max Guiley who worked hard during the gathering, recording with eight different video cameras and adjusting sound, wiring, and lighting, and a fantastic job editing the videos. These recordings are a blessed gift that will keep on giving! Thank you for putting your self and energy into this creation for all to benefit from. Q & A with Audience & Speakers, 2nd Annual Spiritual & Psychic Sasquatch Conference 2017. Question and answer hour at the 2nd Annual Spiritual and Psychic Sasquatch Conference at the Chewelah Learning Center, Chewelah, Washington, September 3, 2017. Sun Bow at Spiritual & Psychic Sasquatch Conference, Saturday, Sept 2, 2017. Kelly Lapseritis presenting at the 2017 Sasquatch Conference in Chewelah, Washington, September 2017. Australians Leigh Kerr, Mick Harrison, and Brook Nobelius (Kagi Taka Raven), presenting on Sunday Sept 3, 2017, Chewelah WA. Thank you to everyone that played a part in the contribution of this amazing conference, gathering, recording, and family! 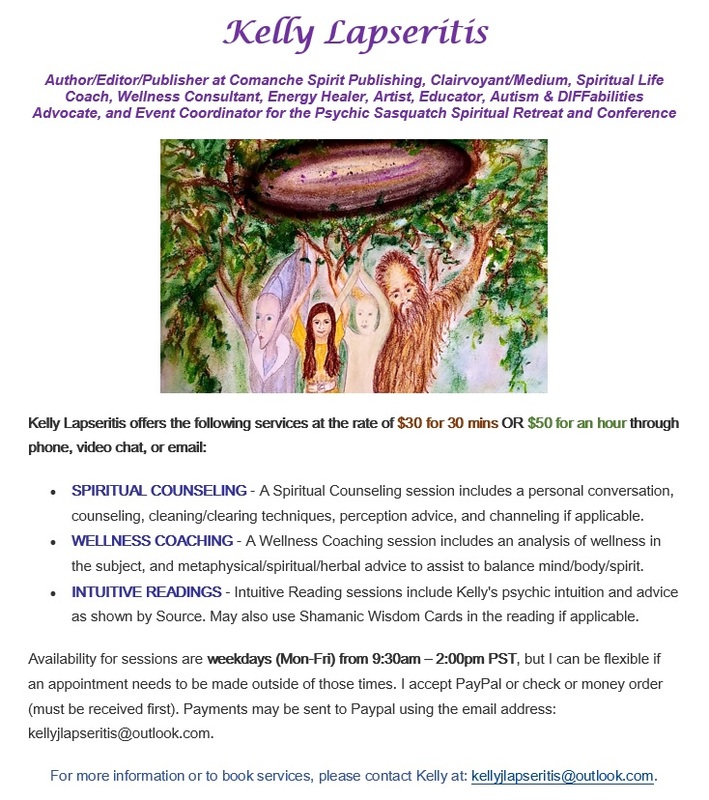 A new article came out today in our local newspaper The Independent in Chewelah, WA about Kewaunee and Kelly Lapseritis, their work with the Sasquatch People and who they are, and the annual Psychic Sasquatch Spiritual Retreat and Conference! Thank you to our local community and friends and family from afar for supporting our work and this reality. Chewelah is a small conservative town that has grown considerably in their open-mindedness of the Sasquatch People. In the 2 years since we started planning our first event, it has grown into a large international gathering with many people having more sightings and experiences in the area. 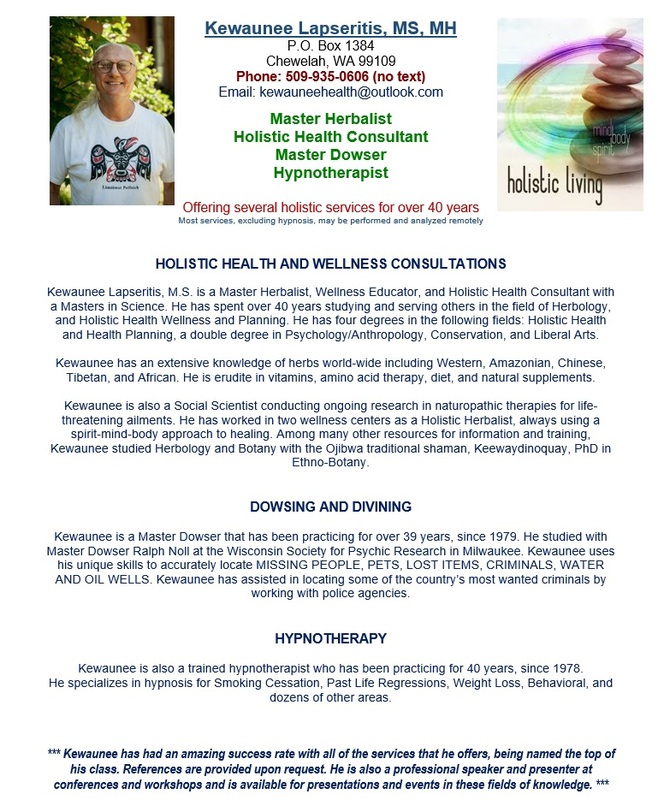 Thanks to all of your who support us and attend the gathering and contribute to raising the vibration and consciousness of the whole area!